You’ve seen an advertisement for your dream job and you know that you’d be perfect for it. Now you just have to get an interview. Write a great cover letter in professional business letter format and your chances of getting that interview will increase dramatically. First, take the time to find out exactly who will be reading your cover letter. If the information is not apparent from the job advertisement, phone or email to ask who is in charge of hiring. Then address your correspondence accordingly. Whatever you do, make sure you spell the person’s name, position title and address correctly and find out if they are a Mr. Mrs. or Ms. Your attention to detail in these matters shows initiative and will impress your potential employer. Employers are looking for specific things, so make it easy for them to pick you! In your cover letter, briefly highlight your relevant education, experience and personality traits as they relate to the job posting. Unless the advertisement specifically says “no phone calls”, phone the company and ask for a “Statement of Qualifications” or job description. These documents will give you extra information about what qualities are important to the company and you can then emphasize how you can meet those criteria. Don’t rely on a generic, one size fits all cover letter. Employers can spot those a mile away. Instead, customize your cover letter to fit the specific position you are applying for. Read the job advertisement closely, and use some of the wording from the advertisement (but don’t go overboard – you don’t want to look as though you were just parroting what they wrote). 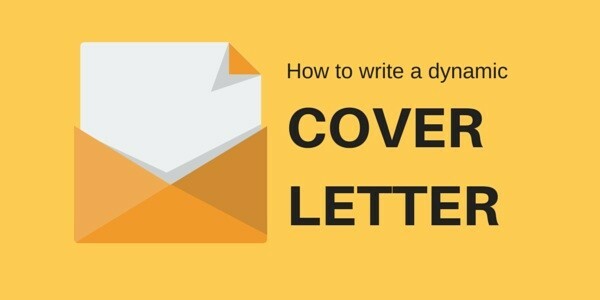 Cover letter should be written in standard business letter format. In business letter format paragraphs are generally short, and use bullet points where possible. This helps the employer to notice the relevant information while skimming the cover letter. Keep in mind that although cover letter samples or writing templates provide a useful start (especially to show you the proper business letter format), they are a starting point only. You must customize your cover letter to fit the specific job, and to allow your personality to come through. Any employer will sense a “canned” or copied letter that doesn’t address the specifics of their company. Whether your start “from scratch” or use a cover letter writing template, be sure to present yourself in a professional and business-like manner in your letter. I can’t stress enough how important presentation is when writing a business letter. Keep it simple, do not use colored paper or fancy fonts. One spelling mistake or grammatical error is enough to have your application rejected. For the best presentation, use a standard font like Times New Roman or Ariel in an 11 or 12 point size, with one inch margins. Proofread the old-fashioned way. Don’t rely on spell-check because typos have a way of getting past spell-check. One spelling mistake or grammatical error is enough to have your application rejected. Read your cover letter aloud to yourself or someone else to help identify any awkward or unclear wording. Remember, you will look like a more professional candidate to your potential employer when your cover letter uses proper business letter wording and format. A cover letter in business letter format would look something like this, although personalized for the position and highlighting your experience. I am submitting my resume for your consideration for the position of __________. I have two years experience in administration, client support and customer service management. I believe that my work-related experience, along with my drive and enthusiasm, make me an excellent candidate for employment on your team. I was pleased to see your company made the top fifty growing business list in Forbes magazine, and I would be proud to be associated with such a dynamic company. My proficiency in administrative and office software such as Lotus, WordPerfect, and Excel complement my qualifications. I would appreciate the opportunity to interview with you at your convenience and hope you will give the enclosed resume your favorable consideration. In today’s competitive job market it is essential that you write a great cover letter that sells yourself, your skills and your desire to work for the company. Don’t be shy about telling the employer why you would be perfect for the job. After all, they are looking for the perfect candidate and that could very well be you. Good luck!